Cleanroom specialist Airology Systems is winning projects with the help of heating and cooling solutions from Mitsubishi Heavy Industries. Airology specialises in the design, supply and installation of complete turnkey package cleanrooms and filtration/air handling for manufacturers within the aerospace, defence, pharmaceutical and medical industries. Air conditioning equipment has been supplied to Airology by 3D Air Sales, MHI’s principal distributor for the UK. Airology’s latest project was the installation of a second ISO Class 7 cleanroom for medical device manufacturer Malosa Medical based in West Yorkshire, UK for the assembly of surgical instrument procedure packs. Airology supplied an existing cleanroom and it was therefore important to ensure the integrity of this cleanroom so that manufacture could continue uninterrupted during the new installation. The temperature control was provided by an MHI FDC140VN outdoor unit with two FDT71VD cassette units inside the cleanroom connected through a specialist filtration system. MHI units were also used for conventional environment control in the accounts and support offices. 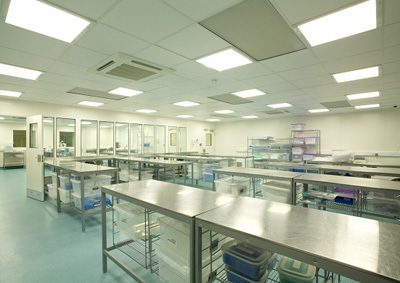 Airology is also currently installing MHI equipment in cleanrooms in Sedgefield, County Durham and Bristol, Avon. 3D Air Sales is part of the HRP Group, a leading distributor of refrigeration, air conditioning and renewable energy equipment.